ARE you all set for summer with the latest Irish Language Intensive Course? 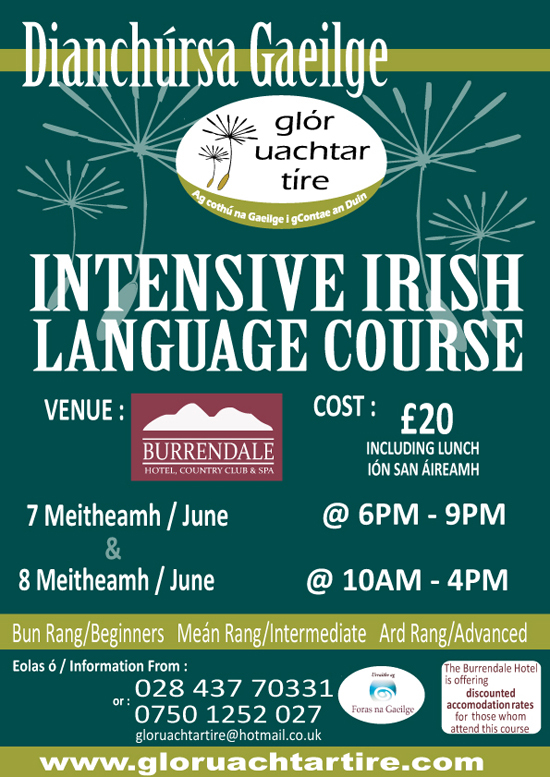 Glór Uachtar Tíre’s Summer Intensive Irish Language Course will take place in the Burrendale Hotel during the weekend of the 7th-8th June. Classes will be available for all levels; beginners, intermediate and advanced. Registration will take place between 6-7.00pm on Friday evening, the 7 June and classes will commence at 7.00pm sharp. Classes will run until 9.00pm that evening. They will recommence again at 10.00am the following day, Saturday, the 8 June. 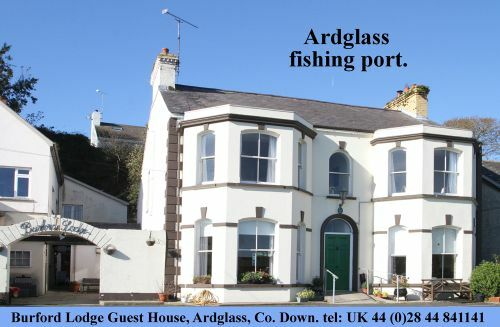 They will run until lunch-time and lunch will be provided by the Burrendale Hotel which is all included in the price. Classes will continue after lunch until 4.00pm. The intensive course will cost £20 or £15 for full-time students (including lunch). If you’re keen to completely indulge at the Intensive Summer Course this year, The Burrendale Hotel is offering accommodation for the weekend at the reduced rate of £60 per person for those who are registered on the course. This will include use of the Hotels’ Country Club and Spa. You’ll certainly be all set for summer after that!